Lots of great racing at Lake Placid 10 days ago. We got hit with a real taste of winter; chilly temperatures on Saturday and a blustery blizzard on Sunday. These races were Supertour races, which means the best skiers in the US were there to contend for Supertour points. 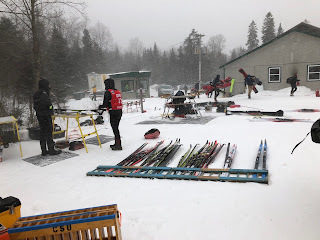 CSU skiers had a great showing amidst those top dogs, and the food table as always was a thing to marvel at. 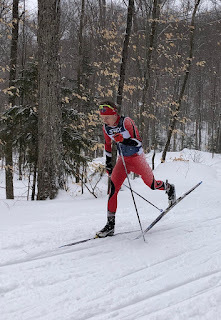 I didn't get photos of everyone (totally missed the U16 boys both days), but here is a sample of race photos. Saturday's race was a classic sprint. 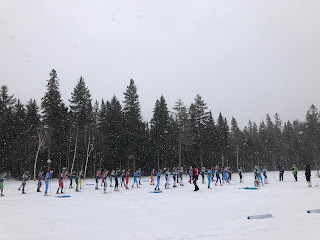 With a Supertour field, you aren't expecting to see many juniors in the heats, but Alex, Madeline, and Laura all threw down some great qualifier races to show that they deserved to go up against the big dogs. 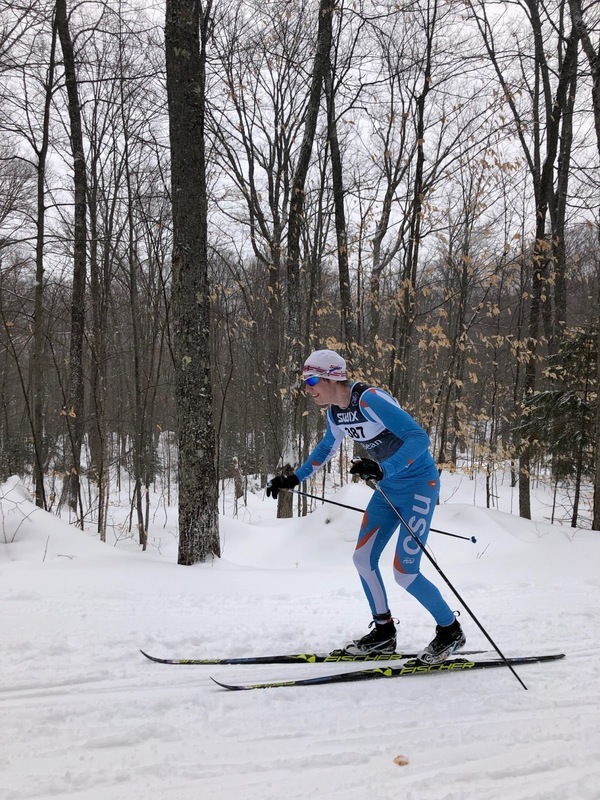 Alex qualified in 20th position, and skied a smart quarterfinal, nearly moving on but finishing 4th in the heat, good enough for a final placing of 18th. For the women, Laura qualified in 26th, and Madeline qualified in 28th. They both fought hard, and Laura ended up 4th in her quarterfinal to land in 20th for the day, with Madeline 6th in her heat, to finish in 29th. Very impressive skiing from those three! The junior heats were next. 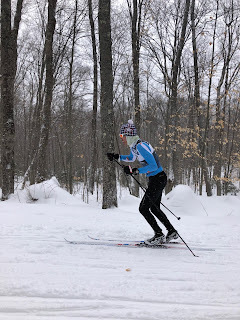 For the U18/20 boys, Linden was two seconds away from making the semifinals, with our DXC buddies Aaro and Quinn just behind. 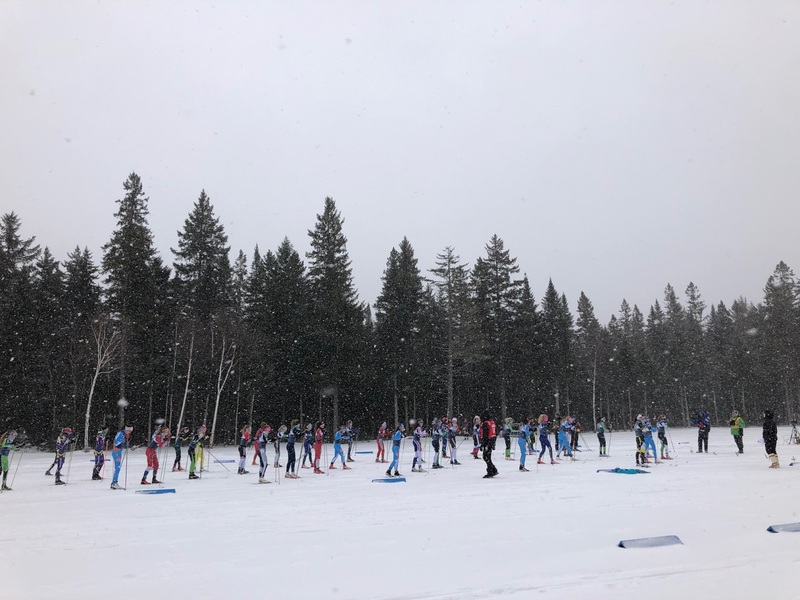 These fields are not only drawing fast professional skiers, but also fast Canadian skiers, coming down for the balmy temperatures of American ski venues. This makes it even harder to qualify! The U18/20 girls' heats had a lot of blue pants in it. Schuyler and Lily from DXC both sailed through the semifinals and into the final, where Schuyler landed in 3rd! Shea and Amelia represented CSU, with Shea moving through to the final and finishing in 5th, after a commanding semifinal. In the U16 girls, five our of six of our starters qualified for the heats, with Clara, Sofia, Francesca, and Mica all in the same heat. Evie was in the other semifinal, and she, Sofia, and Clara all ended up in the final, where Evie took a commanding win, Sofia was 4th, and Clara was 6th. 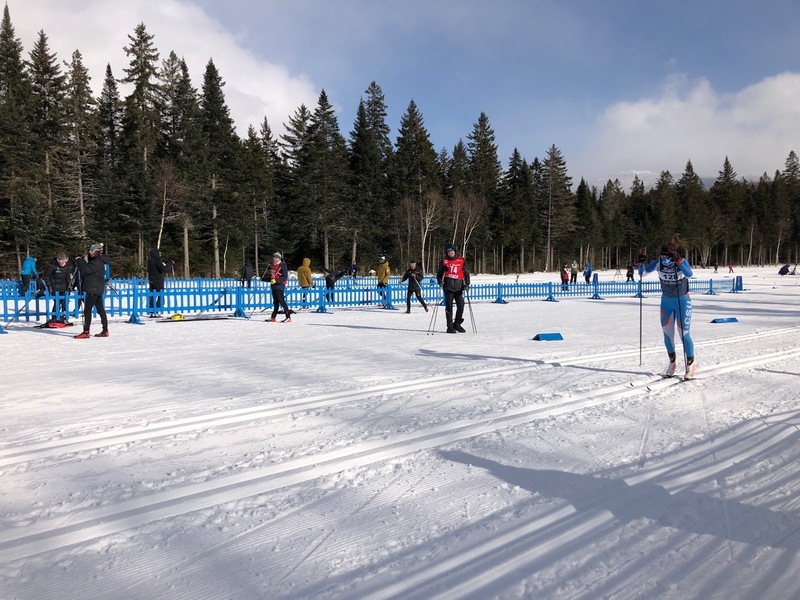 As always, those who qualify for the heats get all the airtime, but there was some really good skiing out there by skiers who didn't make it in. The time margins are so small to get into those heats, that really little slip can mean the difference, and regardless as to whether you made it in, every time you don a race bib you gain race experience! Amelia showing some nice body position on the climb. Evie on the podium! 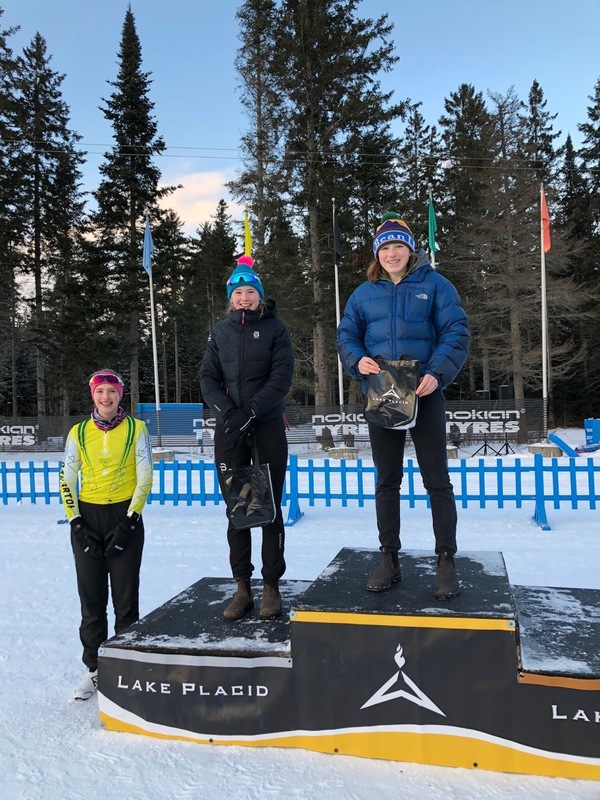 Quincy from Craftsbury qualified for the open heats, and so took the overall U16 girls' win. Madeline in the qualifier. Only qualifier photo I took all day! Sunday was a little warmer, but it was dumping snow, with heavy wind. We couldn't put our skis into the racks, because they would just blow right over. Luckily, it was cold enough that the waxing was straightforward, and it looked like everyone was on competitive skis. 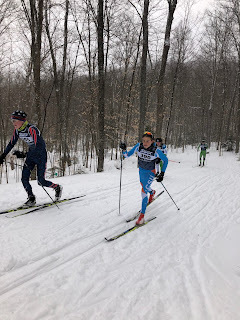 The U16 boys went first, after a good course tour by Doro ("on this hill, you have to go HARDER!"). 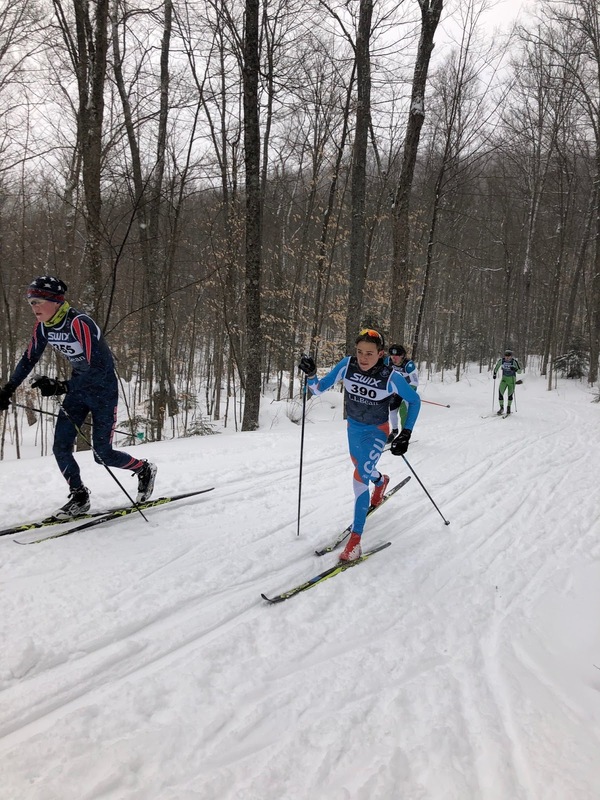 Clint, from DXC, led the pack, finishing in a clump of speedy skiers. Lucas D led the CSUers, despite skis that were starting to ice up a little, showing off his good fitness from running season. 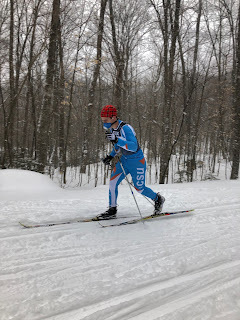 In his first-ever Eastern Cup, Sam was close behind, just barely losing out on a sprint for 30th place. 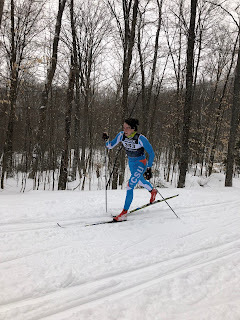 Milo had a solid race, showing off his beautiful classic technique, and finishing sandwiched between some NY skiers (my home state!). The U16 girls were next, and it was a pretty great day for us, with five skiers in the top 11 and all six in the top 17! Clara led the whole uphill, followed closely by Mica and Sofia, before the other girls who'd been drafting passed on the downhill. It was very exciting to see the trio of blue suits right with the lead pack coming into the stadium. 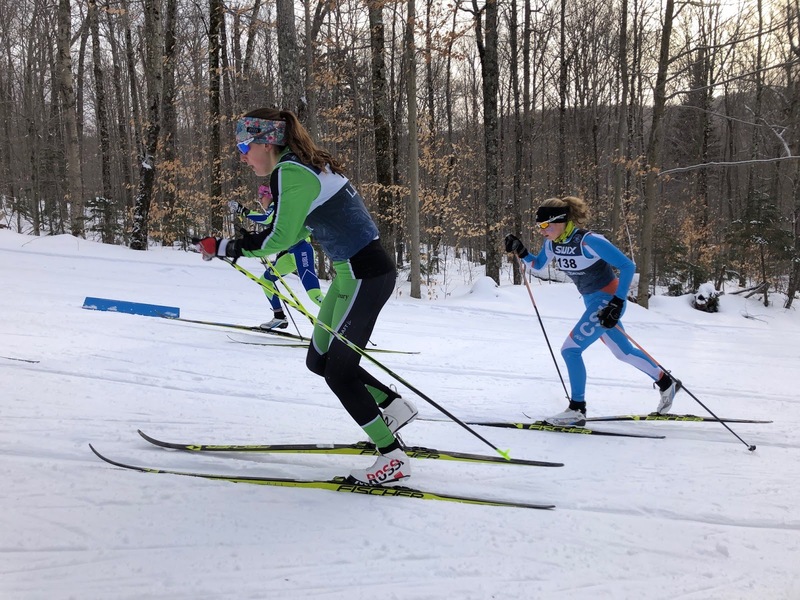 Just behind them were Evie and Francesca, who had a little too much wax on their skis and lost some time on the downhill. Ella came in just behind them, also showing off her fitness from xc running season. Next up were the open women, with our U18 girls. Shea and Schuyler were both near the front, until Shea managed to pull away on the final downhill, for the top U18 spot. 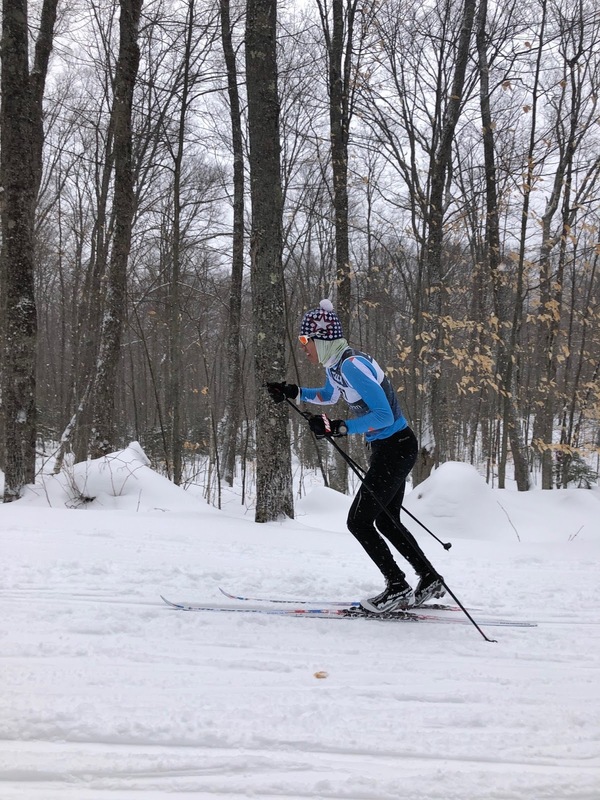 Schuyler took 2nd for the U18s, and Amelia was a close 4th place U18! Just behind her was Lily, and then Laura and then Madeline, all on the first page of the results. A solid little pack up there! 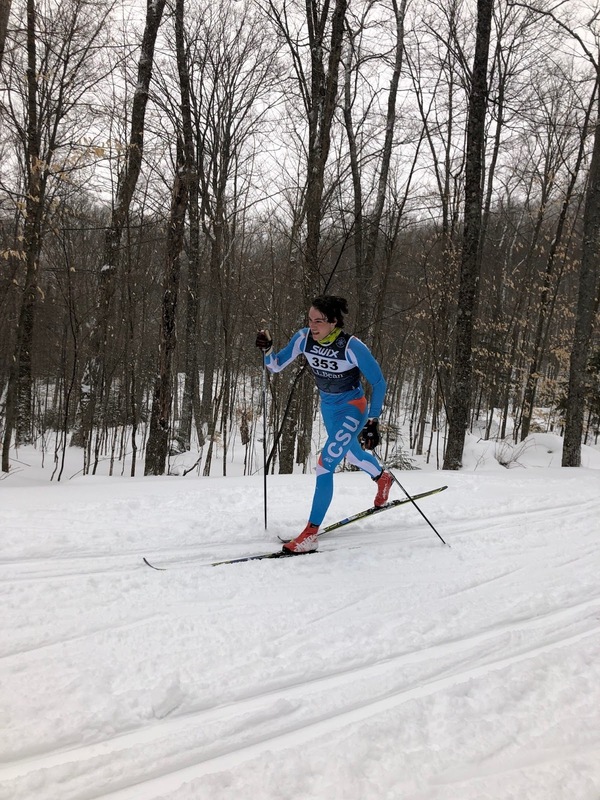 Aggie from DXC is still recovering from a virus she picked up before Nationals, but is clearly on the comeback, finishing in 49th, and Phoebe was just behind her, followed closely by Tali. 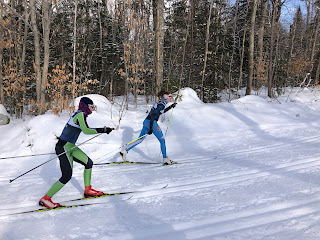 Elizabeth and Flora skied near each other, with Elizabeth finishing about thirty seconds ahead. Very impressive skiing by all, in a raging snowstorm! The final race of the weekend was the open men's race. 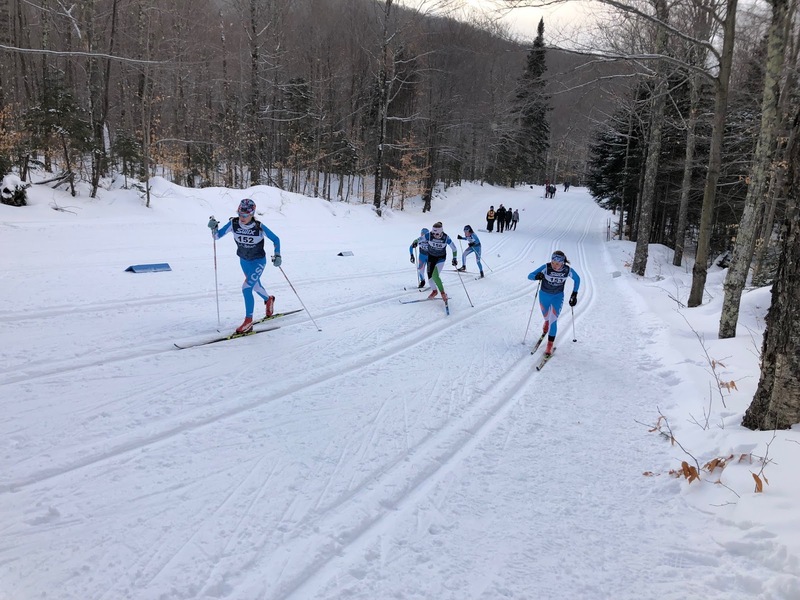 We had a lot of skiers in this race, and they were all looking really strong. It's hard to figure out the timing of breakfast, and lunch, when you race late in the afternoon, but most of them figured it out and raced with good energy. Henry led the way for us, as the 6th U18, and a huge stride. 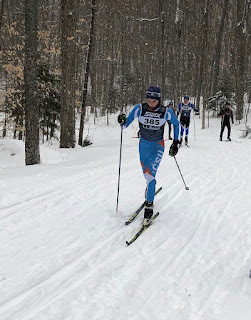 Just behind him was Linden, skiing with good form, and a little ahead of Aaro. 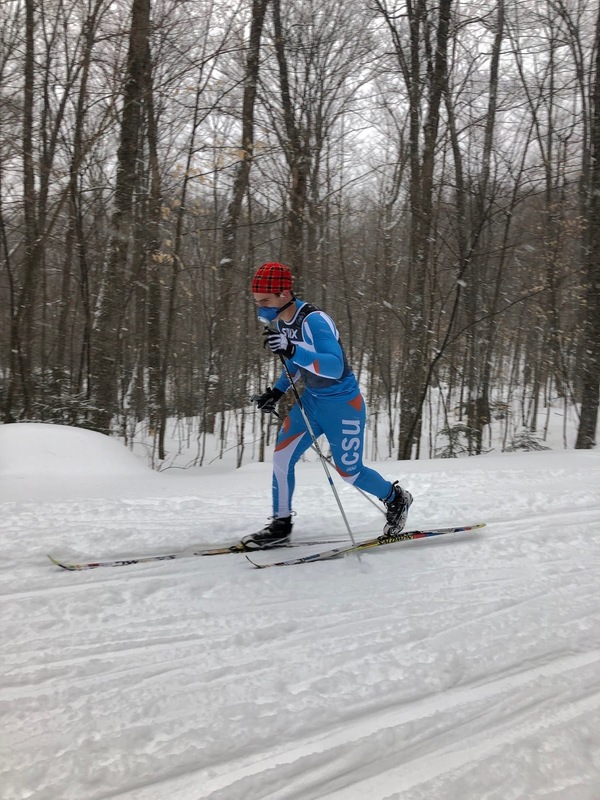 Skier of the day goes to Ayden, who had a breakout classic race, showing that even if you break your femur you can still come back and ski well! Ben was our next skier, followed closely by Quinn. Lucas B had a solid race, about thirty seconds behind them, and next was our DXC friend Adam. Alex may have been feeling intimidated before the race, but showed up ready to fought, and proved himself more than just a sprinter on those hills. Julian and Dwight skied much of the race together, before Julian pulled ahead on the final lap. 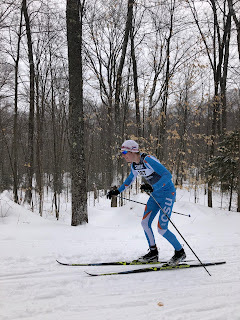 Patrick did what might have been his first classic race, and managed to hold on to his form throughout the race on some seriously tough hills! 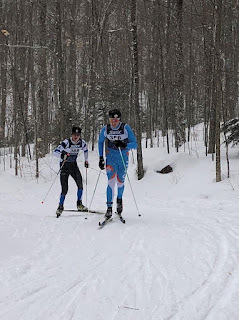 Also impressive, we had two dads in the race, who skied with beautiful form and lots of fitness. Kudos to all the racers! This is what happened to ski racks if you left them up in that wind.